When it comes to the best of 2019 midsize sedans, it really boils down to two household names. For years, the Toyota Camry and Honda Accord have been standout class leaders. The 2019 Honda Accord is an impressive vehicle, but when compared side-by-side against the Toyota Camry, the Camry emerges victorious. Nothing on the road today is more synonymous with dependability than Toyota. The 2019 Camry comes in a host of trims, including the L, LE, SE, XLE, XSE, XLE V6 and XSE V6. Hybrid models are also available. Even though the Toyota Camry underwent an extensive redesign in 2018, the 2019 family sedan boasts a host of tweaks and additions on both the eye-catching exterior and in the cozy interior. The L trim comes with cloth upholstery, as does the base LX trim of the Honda Accord. To learn more about how the Toyota Camry is a smarter buy than the Honda Accord, keep reading. Then you can visit us at Rivertown Toyota in Columbus, GA. While much goes into making the 2019 Toyota Camry refreshing and full of spirit, the power under the hood draws the biggest round of applause. 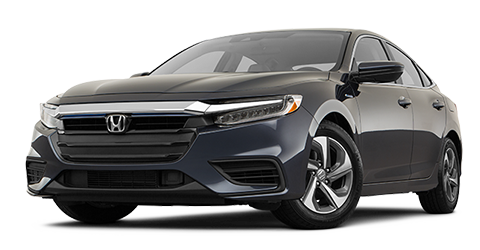 Drivers in Columbus, GA will handle the undulations and elevation changes effortlessly in the standard 2.5L 4-cylinder engine, generating 203 horsepower and 184 lb.-ft. of torque. While the Honda Accord LX features a turbocharged 4-cylinder engine it pushes out 192 horsepower, the 2019 Toyota Camry excels with its with 203 horsepower output. In fact, the Toyota Camry's 203 horsepower makes it the most powerful mid-size sedan with a standard engine. More reviewers than ever agree that the 2019 Toyota Camry is sharper than the Honda Accord at handling and more balanced for a better overall drive. To weigh in for yourself, visit Rivertown Toyota in Columbus, GA. to take a test drive and experience the difference. If you're among those who prefer to stay connected to the outside world inside your car, the 2019 Toyota Camry is right for you. Or, if you are one who prefers to disconnect and instead enjoy your favorite playlists, then the 2019 Toyota Camry is still the right choice for you. 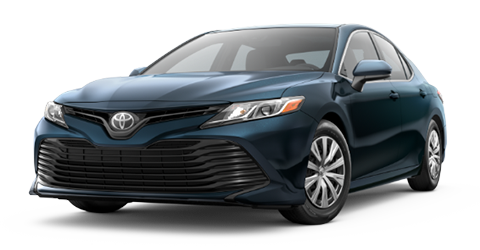 New to the Toyota Camry with the 2019 edition is the inclusion of standard Apple CarPlay™ and Amazon Alexa™ compatibility, neither of which come on the standard Honda Accord LX. So, whether it's directions you need or to make and receive phone calls, the Toyota Camry lets you do so effortlessly. By comparison, the standard Honda Accord LX does not feature touchscreen technology, nor does it come with smartphone compatibility. Standard on the L trim of the 2019 Toyota Camry is a 7-inch touchscreen infotainment system with 6 premium speakers. The Camry XSE V6 trim boosts the size and sound to 8 inches on the infotainment touchscreen and a 9-speaker JBL® audio system along with a Wi-Fi® hotspot. Whether you want to keep up with world happenings around you or just relax with some of your favorite music, the 2019 Toyota Camry is able to produce some things the Honda Accord simply cannot. Learn more by stopping into your Toyota dealership today. Every Toyota Camry is stacked with standard and optional safety features to keep you and your passengers safer. In fact, the 2019 Toyota Camry received a Top Safety Pick+ award from the IIHS and a 5-star overall safety rating from the NHTSA. The 2019 Camry was one of just a few cars that received 5 stars in every NHTSA category. Curve-Adaptive Headlights are available on the XSE trims as is the Driver Assistance package, which includes a Surround-View Camera system and Rear Cross-Traffic Alert. All 2019 Toyota Camry models come standard with front, side and overhead airbags. Front-seat knee airbags for are also standard. Toyota Camry models are also equipped with an ignition disable device if original manufacturer keys are not used. To learn much more about all the safety features of the 2019 Toyota Camry, visit the most-preferred of all Columbus, GA car dealerships: Rivertown Toyota. At Rivertown Toyota, we know a good thing when we see it. In the Honda Accord, we see a fine sedan, but when Toyota is committed to offering the finest car in its class, that makes them work harder and longer to come out on top. That is why the 2019 Toyota Camry is the better, smarter choice over the Honda Accord. At Rivertown Toyota, like Toyota manufacturers, we go the distance and do what it takes as well. When you come in for a visit, you will always receive a friendly professional whose only goal is to help you. From talking finance options to taking test drives of new and pre-owned cars, we are the Toyota dealership in Columbus that respects your budgets and wishes. Need repair work or even just a routine check-up? Our parts and service department is remarkable at jobs of all sizes and scopes. Visit your Toyota dealer today. Experience the 2019 Toyota Camry - the finest sedan in its class.